Reduced Fat Cheddar Cheese Spread. 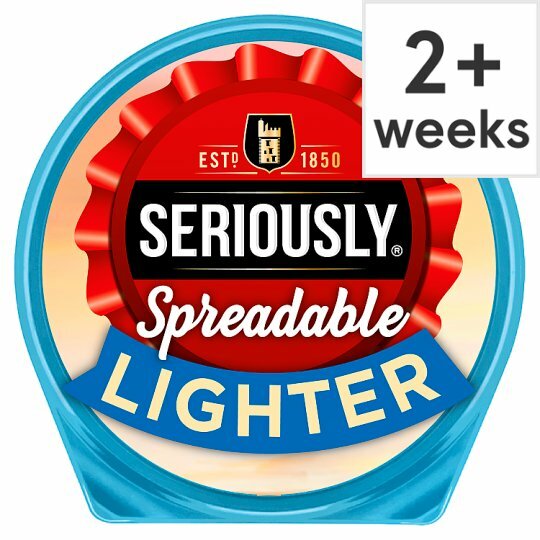 Seriously® Spreadable Lighter is made with the same full-flavoured Scottish cheddar as our Original recipe but with 30% less fat, making it deliciously guilt-free! Spread it onto crackers for a seriously tasty snack or in sandwiches as part of a light meal. There's cheese spread, then there's Seriously. Keep refrigerated: Use within a week of opening., Best before: See bottom of pack.